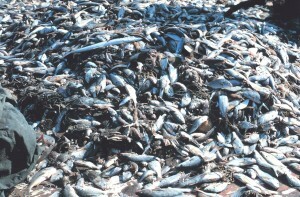 In fisheries, recruitment refers to the number of fish surviving to enter a fishery. These fish have to pass through a number of life history stages (e.g., egg, larva, juvenile, etc.) before becoming vulnerable to fishing gear. Understanding recruitment dynamics is a very complex process – dependent upon the spawning stock biomass and environmental factors. In some species, recruitment is density dependent; in many of these cases, a larger number of spawners will produce fewer recruits per individual because of competition between larval fish, cannibalism by adults, and other factors. In many species, 99% of mortality occurs at the egg stage. 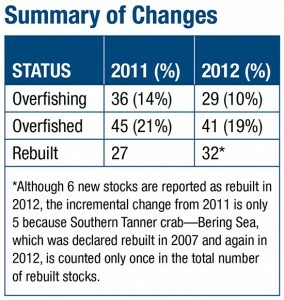 This is just one of the many things that make it difficult to forecast population assessments for fish species. 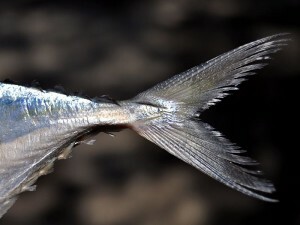 The operculum is a hard, plate-like, bony flap that covers the gills of a bony fish (superclass: Osteichthyes). It protects the gills and also serves a role respiration. Fish can acquire dissolved oxygen through pumping water over their gills by opening and closing their jaws and opercula. The water is flushed from the fish’s mouth over the gills where blood inside capillaries is able to absorb the dissolved oxygen and out the body behind the opercula. The posterior margin of the operculum is generally used in morphometrics to divide the head and body. The operculum shape varies greatly from species to species. 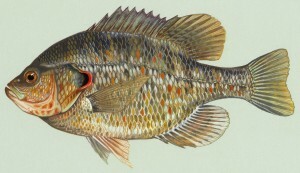 Sunfish (family: Centrarchidae) are known to have particularly prominent opercula and a few species have common names include a reference to their “ear,” or operculum. 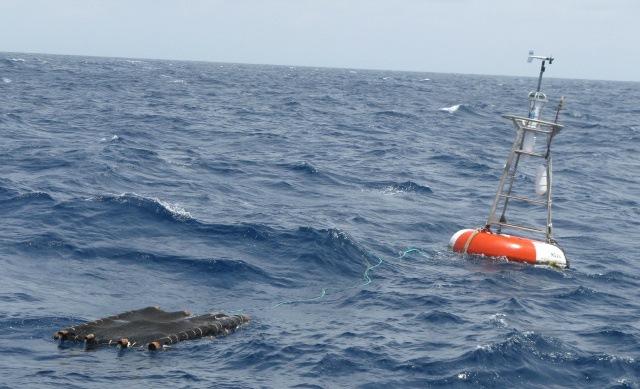 Turtle Excluder Devices (TEDs) are a specific type of bycatch reduction device (BRD) that are a modification to a trawl net to keep turtles, which are not targets of the fishery, from being caught in the net. 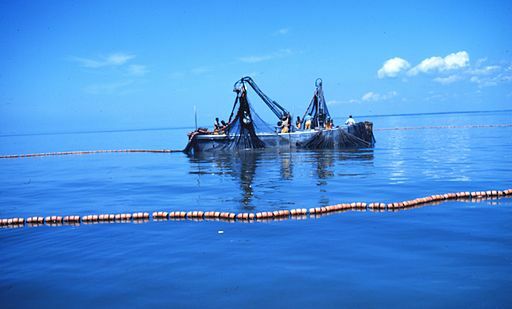 TEDs are generally composed of a set of bars over the trawl net. 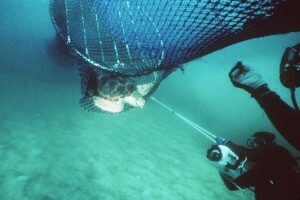 While small target animals, such as shrimp, pass easily between the bars into the trawl net, larger animals, such as turtles or even sharks, can escape through a side opening in the net after they have hit the grid of bars. TEDs were developed to eliminate turtle mortality from trawl fisheries. 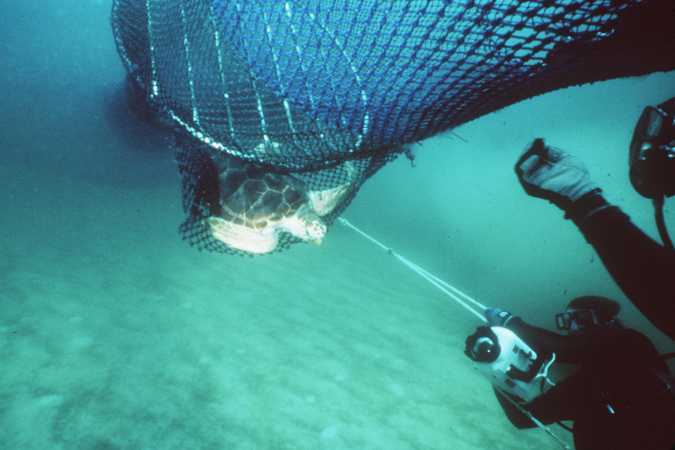 Because turtles and other bycatch, or non-target catch, species often come from threatened or endangered populations, the fisheries had strict regulations on how much bycatch was allowed. 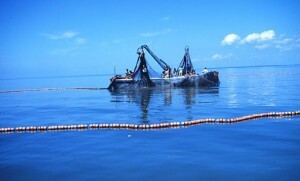 TEDs, by reducing bycatch, allows the shrimp trawls to operate more with more ecological and economic efficiency. 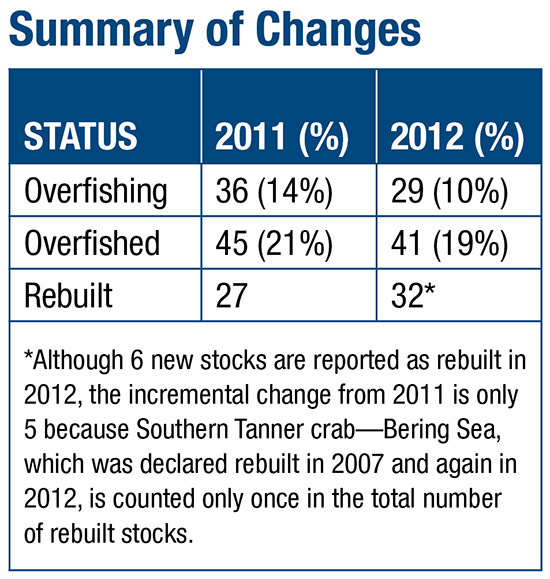 Bycatch is non-target catch within any fishery. Bycatch can be either different species from the target of the fishery or individuals from the target species, generally juveniles, which are not of a marketable size. 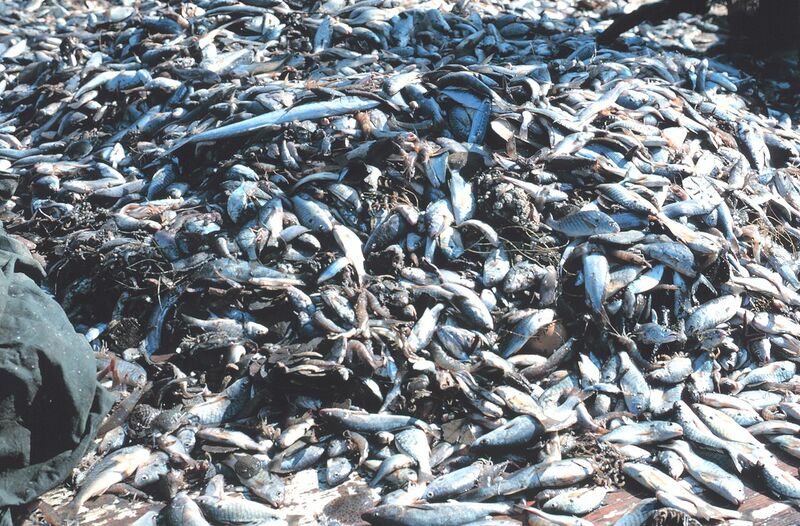 Most bycatch is tossed back because it is illegal to possess or it has no commercial value. In certain fisheries, however, a certain amount of marketable bycatch can be kept to sell. Including bycatch reduction devices (BRDs) that have been specifically developed for some fisheries can have significant impacts on the amount of bycatch and/or bycatch survival. In cases where fisheries have bycatch quotas, the use of BRDs, such as Turtle Excluder Devices (TEDs), can often allow fisheries to operate longer because the quotas are not exceeded quickly. Because bycatch is difficult to quantify, it makes it very difficult to assess the population status of bycaught species. 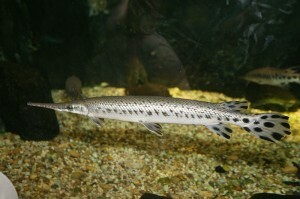 Overfishing for these species is sometimes not recognized until the population is severely overfished. Including bycatch in stock assessment techniques is helping to improve sustainability of these species. Ganoid scales are dimond-shaped scales found in lower order fishes such as the bichirs (Polypteridae), Bowfin (Amia calva), paddlefishes (Polyodontidae), gars (Lepisosteidae), and sturgeons (Acipenseridae). 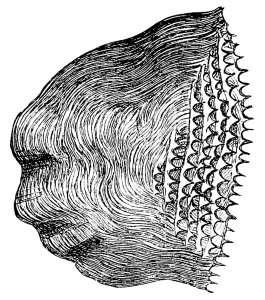 Unlike ctenoid or cycloid scales, ganoid scales are comprised of bone. They have a bony basal layer, a layer of dentin (also found in human teeth), and an outer layer of ganoine which is the inorganic bone salt for which these scales are named. 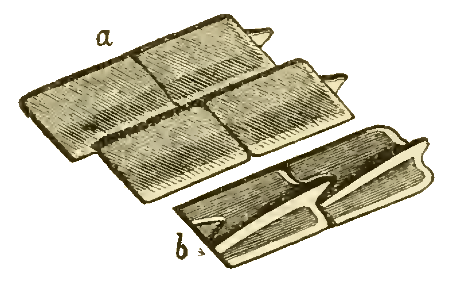 These scales interlock with peg-and-socket joints which make them quite inflexible, compared with ctenoid or cycloid scales, but very protective. 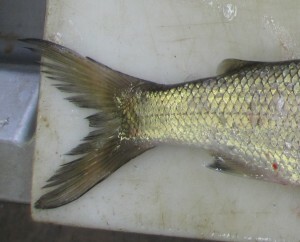 Ctenoid scales are scales with comb-like edge found in higher order teleost fishes, such as perch and sunfish. Cteni are the tiny teeth on the posterior margin of the scale. Similar to cycloid scales, they are overlapping which allows for greater flexibility in movement than other types of scales such as ganoid scales. The surface layer of the scale is comprised of calcium-based salts and the inner layer is predominately collagen. 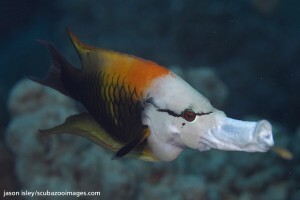 As a fish grows, its scales grow, adding concentric layers, similar to tree rings. For certain species, these rings can be counted to estimate the age of a fish.